With todays ‘modern’ lifestyle, the increase in divorce rates, remarriage and cohabitation, together with families living further apart leading to more complicated family structures, means the need to make a Will has never been greater. However, more complex relationships can often mean that relatives and dependants are left feeling disappointed with what they inherit. A typical example of this is intergenerational lending, perhaps a parent loaning money to one of the children to enable them to get on the property ladder now becoming common place. This can lead to disagreement on the death of that parent as to how the other children or step children are treated. When we decide WHO we want to benefit after we pass away, we naturally think of those closest to us and who we have an active relationship with. 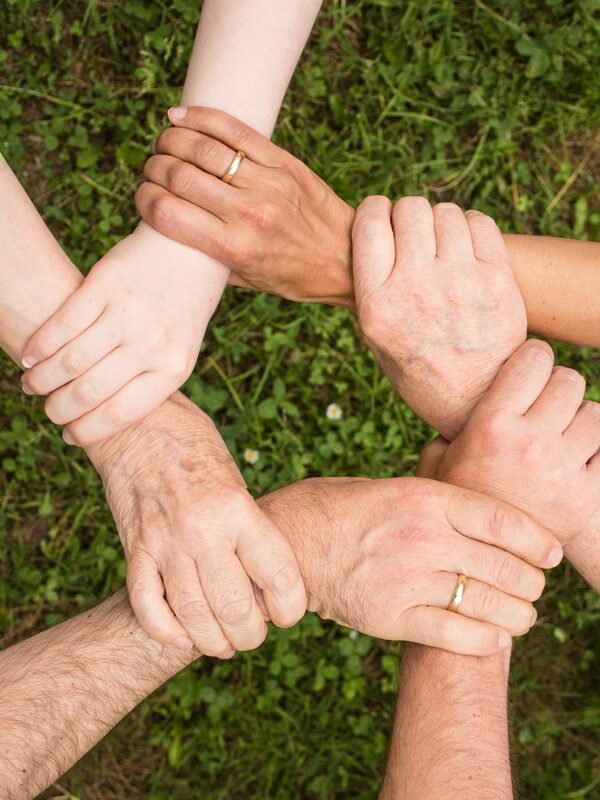 In English Law, the basic principle is that of ‘testamentary freedom’ which means that people are able to leave their property to whomever they choose in their Will regardless of family connections. Surely, all I need to do is write a Will that reflects my choices? Ideally yes, however with the increased complexity of modern family structures, more people having a sizable estate to pass on can mean that it feels there is something worth fighting for, particularly at a time when emotions are running high. As a direct result of this, the legal industry is seeing a growing number of cases where people are seeking legal remedy from being left out a Will entirely, or receiving less than they expected as a deliberate act on the part of the deceased. A growing ‘compensation culture’ and people becoming more aware of their legal rights from stories and articles in the media and the ability to bring a claim if there is something they see as unfair or amiss, means more of an incentive and appetite to challenge a Will. The number of inheritance disputes reaching the high court each year has soared to a record high, a trend that lawyers put down to intricacies of modern family life and rising property prices. A recent survey by Direct Line ( cited in our last post) revealed that one in four people would mount a legal challenge against a loved ones Will if they were unhappy with it. If the claim was successful, this could mean that those you specifically wanted to inherit from you could end up losing out, or even if the Will was upheld, the cost of the fees involved in the claim could seriously reduce the size of your estate, or wipe it out entirely. Writing a Will can be a tricky but trying to understand a loved ones Will after their death can be agonising for some. Not being able to understand the reason “why” a decision was made, can lead to the Will being contested. People can be surprised and hurt by the contents of a Will. The problem is that a Will only details “what” you want to happen to your property after you have gone, but does not go into the reasons “why” you want your assets to be disposed of in this way. Obviously, you will not be there in person to explain or defend your decisions which could mean your voice would go unheard against that of the person contesting the Will. At the time of drafting your Will, you may be confident that a claim would not be made however, it is worth remembering that it is the situation at the time of death that is important and not the situation today. Your wishes and reasoning for the terms of your Will are relevant and need to be given suitable weight. Its clear that its of equal importance to both accurately record all events during the instruction taking process and retain these along with the Will, in order to be able to fully respond to nay potential future claims and so protect your wishes. Many companies rely on simply making notes when taking a clients Will instructions and store these with the Will file in case of need at a later date. Unfortunately though, these notes may be insufficient, go missing, or their meaning lost in translation with the passing of time. In direct contrast to this, we offer both Will Clarity & Execution statements which are totally unique to the legal industry. What is a Will Clarity Statement? A Will Clarity statement is something that every Will Writing company or Solicitors firm should be offering their clients when drafting their Will. Not only does it explain the WHY behind your wishes but it also includes the WHERE, the WHEN, the HOW and the WHO. 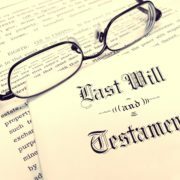 In simple terms, it is a statement written in plain English, setting out your wishes for the distribution of your estate on death but more importantly, the reasoning behind your decisions and the surrounding circumstances. This is automatically compiled with the information provided throughout the entire instruction taking process, ensuring that nothing is missed. The Will Clarity statement is then read, agreed, signed and stored with the Will for safekeeping. The purpose of the Will Clarity statement is to provide guidance to your executors, trustees and family members after your death, making clear exactly what your wishes are and setting out your thought process at the time of making the Will, speaking out where a Will cannot. A Will Clarity statement can be crucial in helping to manage family and loved ones expectations, whilst deterring any potential claims against the Will. For a Will to be valid there are three main formalities which need to be observed. The Will must be signed by the Testator. There must be 2 independent witnesses who attest to the testators signature. Not only does the Execution statement record the above it also reaffirms that the instruction taker is satisfied that your capacity was not in doubt at the time of execution. Unfortunately Wills can and will continue to be challenged by those who have been cut out or not left as much as they felt they should have been. When deciding who you want to benefit under your Will, it is necessary to carefully consider the possibility of such a challenge after your death. U-PLAN can write your Will and offer you and your chosen beneficiaries, the protection of a Will Clarity Statement – contact us here to arrange your free consultation. of the estate, a survey reveals. statistics, which show Will disputes are continuously on the rise. either settled or end up in County Court. involved, the likelihood of someone feeling hard done by is even greater than before. execution or their mental capacity, which will be questioned if a claim arises. Contact us here to find out how we can help comprehensively minimise inheritance disputes, when writing your Will. https://u-planonline.co.uk/wp-content/uploads/2019/03/inheritance.jpg 290 676 Adrian Dunford https://u-planonline.co.uk/wp-content/uploads/2017/07/Logo-01-copy.jpg Adrian Dunford2019-03-08 13:00:552019-03-08 13:00:551 in 4 adults prepared to challenge Wills. About 1.7 million retirees could be at risk of a later life financial crisis by 2025 becuase they have not set up a Lasting Power of Attorney (LPA), a provider has warned. According to Zurich, four in five retirees (79 per cent) in pension income drawdown are without power of attorney, meaning their families could be prevented from helping them manage their finances should they become too ill or incapacitated to do it themselves. Setting up LPA means giving a family member or friend the legal authority to make decisions on an individuals behalf at the loss of a person’s own ability, for instance when they lose mental capacity. Zurich interviewed 742 people who have moved into income drawdown since the pension freedoms, between December 2017 and January 2018. 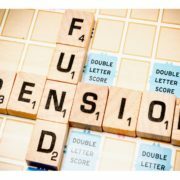 It found more than 345,000 retirees using drawdown to fund their retirement have not set this facility up for themselves, equating to a potential 1.7 million over the next 10 years. The outcomes could be drastic, with next-of-kin individuals forced to apply to the courts to take charge of a relative’s finances should they fall ill.
Zurich said the problem was exacerbated by the pension freedoms, which meant twice as many people are now choosing income drawdown over annuities, giving them the responsibility of managing their income in retirement. According to the Alzheimer’s Society, there are 850,000 people currently living with dementia in the UK. This could increase to one million by 2025, and potentially double to two million by 2051. Despite this, Zurich found a mere one in five (21 per cent) people who have moved into income drawdown since the pension reforms were introduced, have registered an LPA. However, it did find that people with a financial adviser were almost four times more likely to have an LPA than those who had not sought advice (66 per cent vs 17 per cent). A spokesperson at The Alzheimer’s Society indicated the stigma around the LPA was compounded by its links to mental capacity, as individuals are generally reluctant to consider a future where they may not be able to make their own decisions. There are two types of LPA, one covering health and welfare and the other covering property and financial affairs. Both types of LPAs are extremely important, as whilst it’s possible to get a deputyship after the event, it is impossible to manage a pension income drawdown strategy where the pension holder has lost capacity, without a LPA in place. 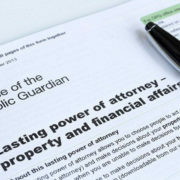 Investigations into the actions of attorneys and deputies appointed under the Lasting Power of Attorney (LPA) procedure soared by more than 45% in the past year, figures have revealed. According to figures from the Office of the Public Guardian (OPG) 1,729 investigations into the actions of attorneys and deputies were carried out in the 2017/2018 financial year – up from 1,199 the previous year. The Office of the Public Guardian (OPG) is a part of the Ministry of Justice (MOJ) responsible for administering LPA’s. The figures were published after a FOI request by pensions and investment firm Royal London. The company had noted a rise in ‘DIY and online submissions’ for LPA’s, potentially leaving people at risk of attorneys making mistakes or, ‘in the worst cases, abuse’. Royal London has called for more information and education on what duties and powers individuals can and cannot do under a power of attorney. While many mistakes may be innocent, the Office for the Public Guardian has the power to suspend attorneys and deputies if it suspects foul play. In the most serious cases attorneys have been jailed for their actions. LPA agreements allow ‘attorneys’ – often a person known to the individual setting up the LPA (the ‘donor’), to manage their health & welfare and property & financial affairs should they lose the mental capacity to do it themselves. If an LPA is not agreed by the time a person loses mental capacity, deputies are appointed by the Court of Protection, which is usually an expensive and lengthy process. Creating a LPA without expert legal advice could result in thousands of pounds of costs later down the line to rectify mistakes and leave people susceptible to financial abuse. Involving a legal expert in the process of creating and registering an LPA ensures that the donor’s best interests have been accounted for. It also ensures that a donor has considered all options and if necessary, put in protection clauses in the LPA. This specialist approach can minimise bad practice and improve desired outcomes for those individuals at risk from incapacity in the future. Contact us here to book a no obligation consultation to discuss your LPA requirement’s . Why are more Wills being contested? There has been an increase in the number of Wills being disputed by family members. Why is this happening and what can you do to try to ensure your assets to go where you want them to? A death in the family can either bring a family closer together or tear it apart. English law allows testators (people who make a Will) to make a Will leaving their worldly goods to whomever they chose, whether this be family members, friends or a charity. Over the last couple of years, there has been a rise in the number of claims being brought by disappointed family members under the Inheritance (Provision for Family and Dependents) Act 1975. This Act enables certain categories of people to make a claim against an estate on the basis that the deceased’s Will (or the intestacy rules if the deceased died without making a Will) fails to make reasonable financial provision for them. First, in March 2017 the Supreme Court handed down its high profile judgement in Illot v Mitson. This case was the subject of many column inches in the national press. It was a case about a mother and daughter who had been estranged for 26 years. When the mother died, she left her estate to three animal charities and nothing to her daughter. Her daughter brought a claim under the Act, arguing that the Will failed to make reasonable financial provision for her maintenance. Claims under the Act by non-spouses revolve around this concept of maintenance. Broadly speaking, maintenance means payments to meet the claimant’s recurring daily living expenses. In considering a claim, the Judge must consider and regard the claimant’s financial needs, as well as those of the beneficiaries. Contrary to popular belief, the Act is not designed to hand out windfalls or to undo what a disappointed child may perceive as a grave injustice of being left out. Despite how it was widely reported in the press, Illot v Mitson did not really create new law – instead it applied the Act to the very specific facts of that case. The claimant and her husband had a minimal income and were dependent on state benefits. They had five children. They resided in a housing association property. Because her financial position was so dire, her claim succeeded. Had she been financially independent, she almost certainly would not have done so. While Illot v Mitson had not set the precedent that was widely reported in the press, what it has done is raise public awareness of the existence of the Act. This in turn has led more people seeking legal advice and an increase in the number of such claims being issued. Secondly, we now live in a society where modern families are more complex. Second marriages are increasingly common, which creates a tension between the new spouse, the testator’s children from their first marriage and the testator’s stepchildren. The Act enables not only children to make a claim but also spouses, civil partners, co-habitees, people treated as a child of the family and any other person who was being maintained by the deceased. Ultimately it is for the testator to do whatever they like with their estate, but careful drafting is needed to address those tensions and being mindful of a potential challenge under the Act. In addition, property prices have increased exponentially over the last 20 years, meaning that even a modest house is now worth a considerable amount of money. This can create certain expectations within families of what people are likely to receive. When there are sizeable assets at stake, people will invest money to pursue a claim in the hope of receiving a bigger share of the estate. Claims under the Act necessarily come at a difficult time, following the loss of a loved one, and the stress and costs of litigation at this vulnerable point can lead to settlements – even of cases without enough merit. Furthermore, the proliferation of the internet and the temptation to prepare your own Will using an online toolkit without the benefit of a legal professional can also lead to a testator’s true intentions not being conveyed. Again, this can spark dispute if someone has been told one thing, but the actual Will does not achieve that end. Finally, there is the human factor. Many probate disputes are about much more than dividing up the financial assets. A death can cause all manner of historically held grievances within a family to be aired, which entrenches positions and further increases the likelihood of a claim being made. So, what can a testator do to try and minimise the risk of their estate being fought over by family after they have gone? Having difficult conversations to manage expectations is a good starting point – if someone knows that they will not be inheriting a significant sum and the reasons for this, they are less likely to contest this decision than if this later comes as a nasty surprise. If that is a conversation that cannot be had, the testator can explain the position in a letter of wishes. This document is not legally binding but gives the testator the opportunity to speak from beyond the grave and explain the reasoning behind their decisions. Such a letter may make a disappointed family member think twice before challenging a Will. Using a professional Will writer to write your Will helps avoid undesired future outcomes and helps protect against any potential disputes on your assets and estate. Contact us here to discuss how we can professionally write your Will. 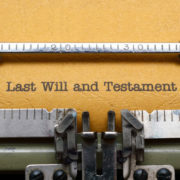 https://u-planonline.co.uk/wp-content/uploads/2018/10/last-will-and-testament-1.jpg 396 616 Adrian Dunford https://u-planonline.co.uk/wp-content/uploads/2017/07/Logo-01-copy.jpg Adrian Dunford2018-10-29 14:40:152018-10-29 14:40:15Why are more Wills being contested? How can I protect my children’s inheritance ? ‘Bloodline Planning’ is ensuring that your assets reach your children, grandchildren and other relatives, rather than ending up in the wrong hands. When assets are distributed to beneficiaries, (ie they receive cash, property or others assets as a direct lump sum payment) so much can be lost. These assets are then considered to be part of the Beneficiary’s estate and be would be at risk of attack from any future Divorce Settlements, Creditors and Taxation. U-PLAN can ensure that your children and grandchildren are able to benefit completely from the inheritance you want them to receive and at the same time, protect the family home and other assets from being lost to the costs of long term care. Consideration should be given to what might happen if your surviving spouse were to remarry. How would this effect your own children if he/she later changed their Will in favour of the new spouse and any subsequent children? Or, for those of you who already have children from a previous marriage, how do you ensure that they would get their fair share? What if your children are very young or have special care needs? How can you ensure that they are fully provided for? There may also be a business you have worked hard to build up. Logic and common sense say you would want to protect this for your family too? Do you really want to leave it all to chance, when with our professional help to set up the correct type of planning – all these problems could be solved? Our expertise will ensure that your assets are both fully protected from attack and immediately available to your loved ones after you are gone. Some estate planning can be made whilst you are alive. Assets could potentially be gifted to Beneficiaries before your death. The could prove extremely tax efficient in terms of Inheritance Tax, as assets gifted away are fully outside of the Donors estate seven years after the gift is made. However, rather than gifting assets absolutely, as this would mean that these assets will again be potentially at risk from Divorce, Creditors and Long Term Care Costs, as well as adding value to the recipients estate, it would be sensible to consider gifting with the aid of Discretionary Trusts. The Discretionary Gift Trust means that, although you make a Gift to your children and grandchildren, the asset need not enter their own estate; thus protecting these assets from any possible claims on them in the future. By Gifting to a Trust, the Donor retains full control but, can not have access to the funds. Even if the Donor never received any benefit, but potentially could, the Gift is classed as a ‘Gift With Reservation Of Benefit’ (GWR) and the full value is deemed to be in the Donor’s estate at death for Inheritance Tax purposes, not just the initial Gift. The Gift Trust ensures that a spouse, children, grandchildren and any other named Beneficiaries can benefit at the Trustee’s discretion. We recommend a Discretionary Trust called a probate trust which, while still protecting assets from attack from Care Costs, allows the Settlor access to the assets held in the Trust. The trust has a memorandum of wishes where the Settlor is also a Beneficiary. The purpose for utilising this Trust will be for ‘ Bloodline Planning’ and not Inheritance Tax Planning, as a transfer of asset by the Settlor would be a GWR. The main uses for a Family Probate Trust are the assignment of investment bonds to ensure it will pass to those intended without the need to wait for Probate. In addition, for a single/widowed client, a proportion of the main residence can be conveyed into our Probate Trust, which can protect the house from the costs of care. Individual advice would be required as to whether this is an appropriate course of action. It has been established that your children/grandchildren future inheritance can be at risk from a number of issues. Taxation is one, but inheritances can be impacted from a number of other more emotional issues such as Care Costs, where an estate can be reduced significantly in value to pay for these costs. Family homes may have to be sold, and income and investments drained, seriously reducing any subsequent inheritance. It my be that there are some family members you would wish to benefit and some that you would not. A classic scenario would be an individual who has married into the family, but who you wouldn’t want to benefit from your estate. Family disputes do occur and Divorce and/or Remarriage can greatly influence who inherits and by how much. Subsequently, if on inheriting monies, an individual then divorces, that same inheritance is at risk. Similarly, if an individual inherits assets but then is later subjected to bankruptcy proceedings, or has creditor liabilities, then the whole inheritance is at risk. The correct Trusts can provide the protection and control of a multitude of assets from those risks noted before. This protection can extend from the family home, to investment products and family businesses. There are two potential scenarios where planning can be made with Trusts. One is during your lifetime and the other is in preparation for your death. We can utilise a range of Trusts in conjunction with the Will, which will ensure that your hard earned assets are fully protected for your children and grandchildren. By its very nature, this type of planning is wholly dependant on your individual wishes, requirements and the value of your estate. Contact us here to discuss how we can help with Bloodline Planning. https://u-planonline.co.uk/wp-content/uploads/2018/09/B1DA3544-50DA-4CDD-99E8-FE4562206153-e1538050656117.jpeg 1439 1079 Adrian Dunford https://u-planonline.co.uk/wp-content/uploads/2017/07/Logo-01-copy.jpg Adrian Dunford2018-09-27 13:19:232018-09-27 13:19:23How can I protect my children’s inheritance? U-PLAN has changed office address. 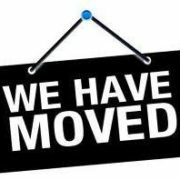 U-PLAN has changed its operational office address. After enjoying our time in Wilmslow, we have moved into brand new offices in the Cheshire town of Poynton. Our clients can come in and meet with us in the new offices, or continue to benefit from free home visit consultations. Click here to book your free office or home consultation. https://u-planonline.co.uk/wp-content/uploads/2018/08/wehave-moved.jpg 198 254 Adrian Dunford https://u-planonline.co.uk/wp-content/uploads/2017/07/Logo-01-copy.jpg Adrian Dunford2018-08-09 12:55:342018-08-09 13:10:29U-PLAN has changed office address. The true cost of not having a Lasting Power Of Attorney in place. Contrary to popular belief, no individual has an automatic right to manage someone else’s finances, even if they are related to them, or are their spouse or civil partner. So, what happens when you can’t manage your financial affairs due to ill health and nothing has been put in place? The truth is it’s an expensive, lengthy and time-consuming problem to resolve. For many individuals, Wills and LPA’s ( lasting power of attorney ) along with many financial products, sit in the category of ‘I will do it tomorrow’ and often it takes a professional adviser to give the person the nudge required for them to take the necessary action. Many health conditions prevent people from being able to manage their finances. The two most common are dementia and stroke, and the numbers are quite stark. Some 2% of people aged 65 to 69 have dementia, by age 85 to 89 it’s 20%. And, there are approximately 152,000 strokes in the UK every year. A sensible approach should be that when any individual puts in place a financial product for themselves, they should also explore what would happen if they were unable to deal with their financial affairs themselves. This is because if you are no longer able to manage your finances due to health reasons, no one else can do it for you without legal authority. This is also true if you have joint bank accounts. Most people assume that if their partner suffered a stroke or developed dementia then they could carry on operating the account and would have access to things like their pension income which may go through that account. However, guidance from the British Bankers’ Association means that banks will often freeze joint accounts if one of the account holders is mentally incapable unless a lasting power of attorney is in place or a Court of Protection order has been obtained. The reason given by the banks is that joint accounts can only operate if there is continuing agreement of both parties – plainly this can’t happen if one party is not capable of agreement. So, without a lasting power of attorney the first thing that must happen is someone will need to apply to the Court of Protection for a ‘property and financial affairs deputy order’. This allows a deputy or preferably deputies to deal with your finances. It is advisable for more than one person to apply, because if only one deputy is appointed, and they couldn’t act for any reason (for example, being on holiday, becoming bankrupt or death), then you would be back to square one. Appointments are usually made ‘jointly and severally’, which means that any one deputy is able to act independently at any time. The Court of Protection prefers family and friends to be deputies, however, if there are family disagreements or if your assets are complex, it may be best to appoint a solicitor or legal professional. While the court forms are available on Gov.uk many people do ask solicitors or legal professionals for assistance as the process is complex. The court require information regarding your assets, income and liabilities, a medical certificate and a declaration by each deputy to confirm they are suitable and will undertake their duties properly. It’s worth noting that many NHS doctors will not complete the medical certificate, and those who do may charge up to £300. Typically, it takes about a month to obtain the information and complete the forms. Some £400 is payable to the court, and it takes a further month for the court to issue the formal application. Your proposed deputies need to notify various family members, including yourself, even though you may not understand. This gives everyone a chance to object to the appointment of a deputy. You plainly have no control over who might do so. Assuming no objection, the court requires an insurance bond which pays out should a deputy illegally take your money. For £300,000 cover the annual premium is about £225. With the bond in place the court issues the property and financial affairs deputy order along with guidance for the deputies. A separate bank account needs setting up to manage your financial affairs. And your deputies will send the order to all the institutions that you have dealings with. The Office of the Public Guardian will charge a fee of £100 to consider what supervision level the new deputies should be allocated to. There is also an annual supervision fee of £320 year for assets of over £21,000 and £35 if less. This whole process takes about six months and is considerably more expensive than having a lasting power of attorney in place before a need arises as the typical example in the table below shows. The table also shows an indicative cost for a single individual, based on one year and five years, being an indicative life expectancy. It assumes legal advice is taken for both matters. It also assumes no on going legal support. To talk to us about setting up your own LPA, please contact us here. 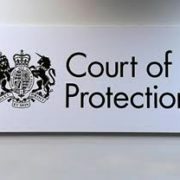 https://u-planonline.co.uk/wp-content/uploads/2018/07/Court-of-Protection.jpg 208 242 Adrian Dunford https://u-planonline.co.uk/wp-content/uploads/2017/07/Logo-01-copy.jpg Adrian Dunford2018-07-24 14:45:052018-07-26 11:10:19The true cost of not having a Lasting Power Of Attorney in place. 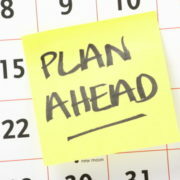 Planning ahead – Health & Welfare. Around one third of people in the UK have made no provision for old age, whether through a pension, writing a will, saving for retirement, making funeral plans or creating a lasting power of attorney, according to new research. By 2025, more than 13 million people who are at risk of mental incapacity will be unprepared, with no legal or medical plans in place for their future care. The taboo remains –talking about death and end of life is putting individuals and their families at great risk of a whole range of problems in the future. It is true that more and more of us are putting wills in place and establishing plans for finances and assets, however far too few of us are planning ahead for our health and care needs and wishes, leaving this to chance. Planning ahead by talking to family or friends shouldn’t be seen as doom and gloom, it’s about having a positive conversation about welfare, empowering your loved ones and making the decision-making process easier for everyone. Dementia is the biggest single cause of death in England and Wales and the number given a diagnosis of the condition has risen by 54 per cent in ten years. While three quarters of the population fear dementia or the loss of capacity to make decisions, 97 per cent have not made relevant legal provision. Planning ahead is surrounded by worrying misconceptions. Some 65 per cent of people incorrectly believe they can leave decisions to their next of kin, without making the decisive legal steps to ensure that happens. There are currently 928,000 health and welfare lasting powers of attorney (LPAs) registered with the Office of the Public Guardian (OPG) across England and Wales, compared to the 12 million people over the age of 65 who run the risk of developing dementia – a difference of nearly 93 per cent. This disparity will continue, leaving millions in limbo. By 2025, it’s estimated that more than 15 million people will be at risk of mental incapacity and only an estimated two million health and welfare LPAs will be in place. https://u-planonline.co.uk/wp-content/uploads/2018/07/plan-ahead.jpg 400 620 Adrian Dunford https://u-planonline.co.uk/wp-content/uploads/2017/07/Logo-01-copy.jpg Adrian Dunford2018-07-05 14:02:122018-07-05 14:02:12Planning ahead - Health & Welfare.